has Tanzania and Chad with six points from two matches, two points ahead of Nigeria. indigenous coaches for the senior national team. “Operation beat Egypt’’ on Tuesday said. ‘’We need total concentration and support to the coaching crew and the players to make this Operation successful’’, Green noted. Stories earlier credited to President Amaju Pinnick that Nigeria had come to the end of employing indigenous coaches for the Eagles has attracted total condemnation and this U-turn may be in line to steady the ship and bring peace to reign in the football house after the sudden resignation of Sunday Oliseh. 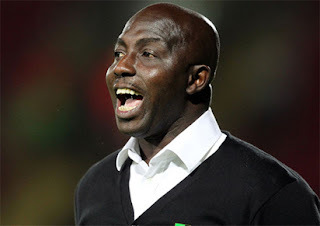 Coach Samson Siasia is expected to announce his list of players invited for the match against Egypt today after submitting it to the Technical and Development Committee of the NFF.